How does the industry respond when a scientific study comes out that is critical of quality and label claim for an omega-3 fish oil supplement, and, in the opinion of many experts, the research is flawed? The question was posed recently (1) in a follow up article to a paper published in early 2015 reporting that New Zealand products contained substantially lower EPA+DHA content than label claims and were also heavily oxidized (2). This contribution builds on a recent article by Kevin Krail, Executive Director from the Australian and New Zealand Omega-3 Centre, appearing in Food Navigator-Asia – What can you do in the face of a ‘flawed’ omega-3 research study? (1) and several other outlets. We aim to provide further technical and other details to assist the Australian and New Zealand industry and ultimately the end users and consumers in understanding the high product quality assurance protocols already in place, together with the high product quality that has been determined by both industry and independent laboratories. The Australian and New Zealand market for complementary medicines is very big and getting bigger. Indeed, their level of consumer use—approaching 70%—is probably the highest in the world on a per capita basis. The annual spending in Australia alone is at A$4 billion (US$2.9 billion) per year with month-on-month double-digit growth rates. Meanwhile, complementary medicines that are manufactured in Australia and New Zealand are moving out to China in enormous quantities, and the entire regional industry is benefiting. The Australian and New Zealand products, including in particular the long-chain omega-3 oils, are recognized for their high quality, clean and green image, and also for the regulatory controls that are in place. Natural health is made up of a wide variety of segments, with the long-chain omega-3 oils category having increased markedly over the past decades and being the largest by volume and dollar sales. Within it are found the long-chain omega-3 fish oil supplements, krill oils, and then more specialist oils like tuna and calamari oil, all in different formulations and concentrations. The omega-3 category is a major contributor to the success of the industry and shows the high awareness that consumers in the region have for the health benefits of the long-chain omega-3 oils. Complementary medicines, including all the long-chain omega-3 oil supplements, are regulated by the Therapeutic Goods Administration (TGA) in Australia and Medsafe (New Zealand). Both regulators have quality GMP standards in place that the industry has to adhere to, including meeting label claims on EPA+DHA content and long-term stability testing relative to a set quality standard for oxidation. Standard analytical methods are also used by the industry and regulators. The brand owners and manufacturers of omega-3 supplements are required to meet these standards and keep records, so consumers should feel comfortable they are getting a safe and reliable supplements or complementary medicines. Therefore, it came as a surprise when a University of Auckland scientific study: Fish oil supplements in New Zealand are highly oxidised and do not meet label content of n-3 PUFA by Alberts et al. (2015) published in the journal Nature Scientific Reports (2).The researchers investigated both percentage input and oxidation levels of fish oil supplements purchased in retail outlets in New Zealand. The selected products were not identified by brand name, but they would have come from both Australian and New Zealand companies. The results showed low claim compliance for content of EPA+DHA on labels and high oxidation levels. Media in the region picked up the story and television, newspaper and radio reports were particularly negative in New Zealand with headlines that read “Consumers sold short on omega-3 oil” (New Zealand Herald) and worse. While media of this nature typically goes away quickly, there were continuing media stories published on the issue, including by the New York Times, which also attacked the wider vitamin and supplement industry. The Omega-3 Centre and its sister association in the USA, the Global Organisation for EPA and DHA (GOED), along with the regional Australasian Section of the American Oil Chemists’ Society (AAOCS) and the NZIC Oils and Fats Group, had several omega-3 and lipid science experts examine the New Zealand study. Those consulted were collectively surprised by the results, especially as the Australian government science agency, CSIRO and collaborators, had performed similar research published in 2014 on both percentage and also absolute content of EPA+DHA in a range of Australian products; these studies showed the samples were predominantly compliant with label claim (3,4). In addition, the CSIRO researchers performed other analyses on the oils to confirm their generally high triacylglycerol content. Other groups had shown similar findings in earlier studies. Interestingly, during 2015, a different team from the University of Auckland had developed a new fish oil product, and reported their findings. This fish oil was compliant to its stated label in terms of EPA+DHA content, and importantly was also not oxidized (5).The Alberts et al. (2015) New Zealand Oils study had not referred to previously published studies or the co-occurring New Zealand study (5). It should be noted that in response to the New Zealand fish oils paper and media attention, the TGA did a suite of follow-up analyses, testing similar fish oil products on the Australian market. Fifteen fish oil supplements were tested by the TGA using the prescribed methods of analysis for the industry (6). Eight products were ‘fish oil’ captured under TGA Compositional Guideline for ‘fish oil – natural’. 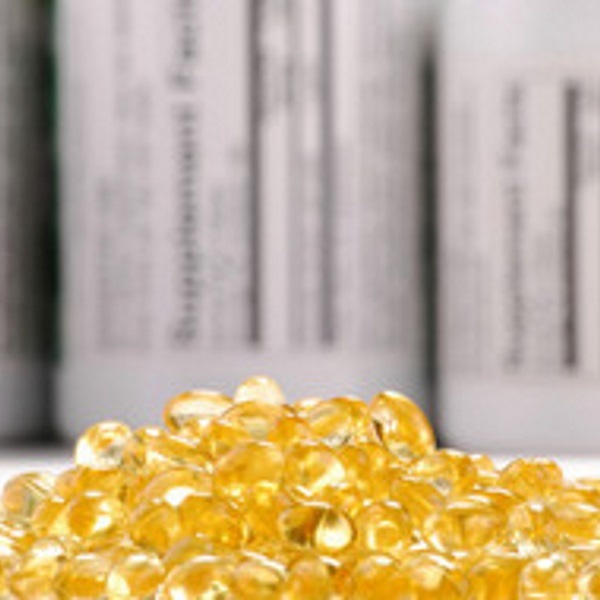 Seven products were captured under the British Pharmacopoeia (BP) monograph on ‘Concentrated Omega-3 triglycerides – fish’. The products were analysed using BP methods for testing fish oils. The results were found to be acceptable for both oxidation status and for omega-3 fatty acid content. In terms of specific details, the testing for oxidation gave satisfactory results for all products in relation to peroxide value (PV). Four products gave high results for anisidine value (AnV), which was attributed by the TGA to the presence of excipient fragrances or flavourings (aldehydes) which interfere with the test. All 15 products gave acceptable results for their content of omega-3 fatty acids; that is, they were all above the legislated (or official) lower limit of 90% of label claim (6). Industry had also performed re-testing of products which gave similar results to the TGA results; again the EPA + DHA were meeting label claims, and the products were not oxidized. As it was noted that non-standard procedures had been used in the New Zealand Oils study, the Omega-3 Centre contacted the authors soon after their publication was released to discuss the results and the test methods used. The authors stood by their results. Both the industry and a range of scientific experts and bodies, in particular the TGA, believed the data to be abnormal, that there was something wrong with it. But what could we do about it? Scientists typically submit data analyses and interpreted results in a manuscript to a committee of peers for publication in a scientific or academic journal. This is known as the peer review process. Once published, a study remains publicly available for future reference. In this case, it is somewhat surprising that the authors of the New Zealand Oils study did not contact outside experts to give advice on testing methods and the particular issues faced when analysing finished product for their omega-3 content and quality parameters. After consultation within the industry, and due to the suspicious nature of the results, GOED had also set up a scientific testing program to conduct randomised testing of omega-3 fish oil supplements selected exclusively from the New Zealand market. GOED is currently finalising their results, which have also shown compliance, and it intends to share them with the industry and the regulators. The industry, GOED and the Omega-3 Centre will likely go back to the publishing journal to seek a retraction of the study or, at the very least, a published letter explaining the new results. It is possible that a manuscript on the ‘re-testing’ of these oils will be submitted to the same or another journal. In recognition of the methods issues that are recognized to have occurred in the New Zealand and other studies, GOED and the Council for Responsible Nutrition (CRN) have worked closely together and have co-authored a new White paper – Oxidation in Omega-3 Oils: An Overview (7). The White paper aims to improve industry and researcher knowledge about oxidation testing protocols. The summary of the report states: Oxidation of omega-3 oils is a complicated topic, but it is important to understand. A significant number of consumers cite fishy burp and/or taste, thought to be the result of oxidation, as one of the main reasons they do not consume EPA and DHA oils. In addition, some papers have discussed the potential for adverse effects associated with consumption of oxidized oils. Measuring oxidation in omega-3 oils is complex from a chemistry point of view and in addition due to the differences in chemical and physical characteristics of many commercially available products, which means not all methods to determine quality are appropriate for all types of oils. A number of consumer groups, organizations that issue product quality seals, and academic groups have published data on levels of oxidation in omega-3 oils. Overall, these data show that commercially available omega-3 supplements are low in oxidation products. The White paper prepared by GOED and the CRN responds to the methods issues widely recognized to have occurred in the New Zealand fish oils study and a further recent and similar Canadian study (7). It is clear that both studies used inappropriate methods to reach their conclusions. The New Zealand Oils study highlights an issue seen in the industry and academia for many years: the lack of use of consistent testing methods across commercial and research laboratories in this region. The AAOCS and other industry associations including GOED provide support for science around rigorous and validated analytical testing of oils. Proficiency programs are offered by AOCS and several organizations. In addition to the methodological flaws noted above, the publication of the original New Zealand fish oils study has illustrated some additional shortcomings in: the review processes of the contributing institutions, the journal review and editorial processes, and then the communications and media processes. One director of a leading agency even commented that the New Zealand fish oils case study has highlighted a seriously flawed journal peer review process. The authors of this article look forward to seeing the details of the follow up analyses conducted by the TGA and GOED using validated protocols being recognized by the wide range of concerned groups, societies, industry, and importantly the consumers seeking high quality Australian and New Zealand long-chain omega-3 containing fish oil products. Further good news is also available. A special issue was published in the peer-reviewed journal Nutrients in 2014. In addition, the issue is available as a stand-alone book on Australian and New Zealand research on omega-3 oils. The book showcases a range of forward looking and also new and positive scientific outcomes occurring in the omega-3 field (8). Terri Albert, Kevin Krail, Lalen Dogan, Peter D Nichols and Andrew Sinclair are the Executive Director, the Immediate Past Executive Director, the Chair, Scientific Advisor (Seafood) and Chief Scientific Advisor respectively of the Omega-3 Centre, which is a specialty healthcare association for Australia and New Zealand that promotes the “good science” and health benefits of long-chain omega-3 fatty acids. Dogan is employed by Aker Biomarine, Australia and Nichols by CSIRO and serving as an Adjunct Professor at the University of Tasmania, with Sinclair an Emeritus Professor at Deakin University, Adjunct Professor at Monash University, and Professorial Fellow at Zhejiang University. Membership of the Omega-3 Centre includes omega-3 ingredient suppliers, seafood and consumer products companies, government agencies, universities and interested individuals. 2. Albert, B.B., Derraik, J.G.B., Cameron-Smith, D., Hofman, P.L., Tumanov, S., Villas-Boas, S.G., Garg, M.L. and Cutfield, W.S. (2015) Fish oil supplements in New Zealand are highly oxidised and do not meet label content of n-3 PUFA. Nature Scientific Reports. 5: 7928. 3. Nichols, P.D., Glencross, B., Petrie, J., Singh, S.P. (2014) Readily Available Sources of Long-chain Omega-3 Oils: Is Farmed Australian Seafood a Better Source of the Good Oil Than Wild-Caught Seafood? Nutrients 6: 1063-1079. 4. Bengtson Nash, S. M., Schlabach, M. and Nichols, P. D. A Nutritional-Toxicological Assessment of Antarctic Krill Oil versus Fish Oil Dietary Supplements. Nutrients 6: 3382-3402. 5. Ferguson, L. R., Ellett, S., Jesuthasan, A., Marlow, G., Zhu, S., Agnew, M., Greenwood, J. M. and Laing, B. (2015) New Zealand research – new omega-3 supplement – Lester’s oil. New Zealand Institute of Food Science and Technology 50th Anniversary Conference, Palmerston North, Bew Zealand, June 30 – July 2, p5. 6. Nichols, P. D. (2015) Long-chain Omega-3 Oils: Sources, ingredient quality and methods of analysis. Australian Section of AOCS and Omega-3 Centre. Biennial Conference, Geelong, Australia, p 29. 7. GOED and CRN (2015) Oxidation in Omega-3 Oils: An Overview. A White Paper Prepared by the Global Organization for EPA and DHA Omega-3s and the Council for Responsible Nutrition.